Description: 30-foot high bronze sculture of waving American flag transforming into flame rests on granite base, part of which was taken from Twin Towers site, in round courtyard that can hold about 300 people for ceremonies. Names of the almost 3,000 victims and their countries of origin engraved on plaques surrounding courtyard. Located in contested territory (Arazim Valley, Ramot), on outskirts of Jerusalem. Text: "A reminder of shared loss and a call for peace among nations dedicated by Edward Blank, Sharon Cosloy Blank, Rebecca Blank, Michael Blank, May Cohn." "This metal remnant was taken from the remains fo the Twin Towers that imploded in the September 11, 2001 disaster. 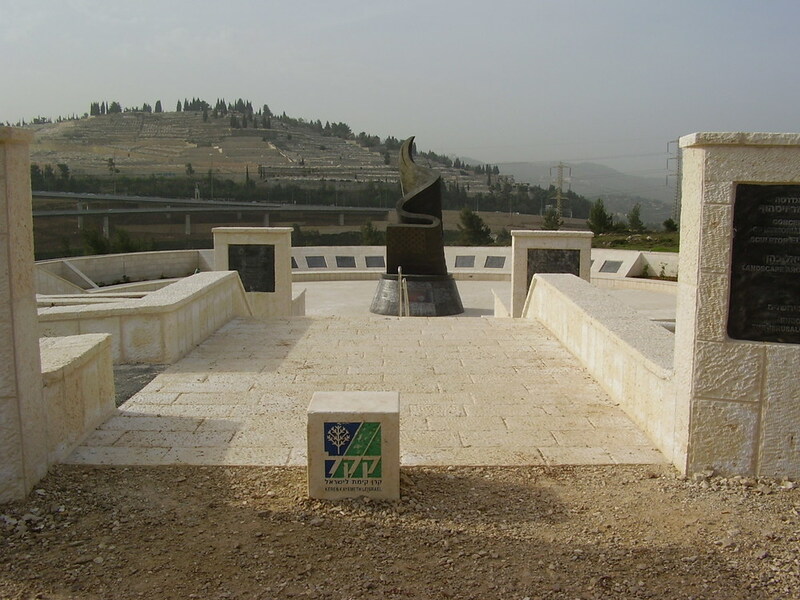 It was sent over to Israel by the City of New York to be incorporated into this memorial. 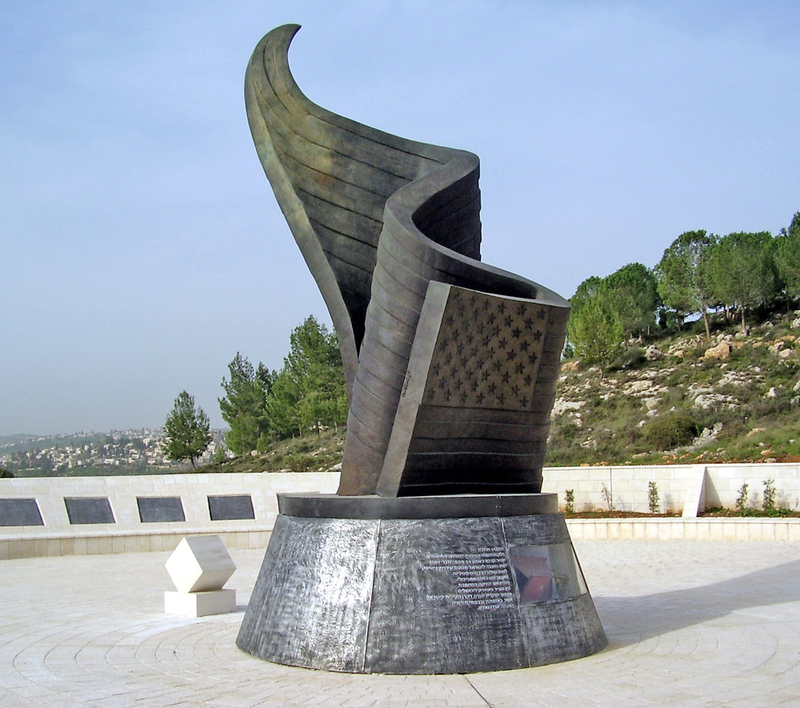 This metal piece, like the entire monument, is a manifestation of the special relationship between New York and Jerusalem and an expression of gratitude to Keren Kayemeth LeIsrael-Jewish National Fund whose initiative and the generous contribution of its supporters made this monument possible."